As I shared in a previous article, February in Dallas began with many spring like days. Though that beautifully weather did not last and winter hit Dallas hard the last two weeks of February, for a while it felt like California, mild temps during the day that fell at night, sunshine, light to no wind and a month without bugs! It provided great opportunities to enjoy our recently remodeled back yard with new fireplace. One such evening was a Saturday. My husband and I found ourselves at home alone (an increasing common occurrence since our teens now drive) and the night was perfect. We decided to build a fire, turn on some soft music and eat dinner outside. Though we have plenty of wine in our wine cellar once again I felt beckoned by another Cornerstone Cellars media sample I was blessed to receive that I knew would be delicious. So we opened some wine, grilled some steaks and had a vacation like evening in our own backyard! 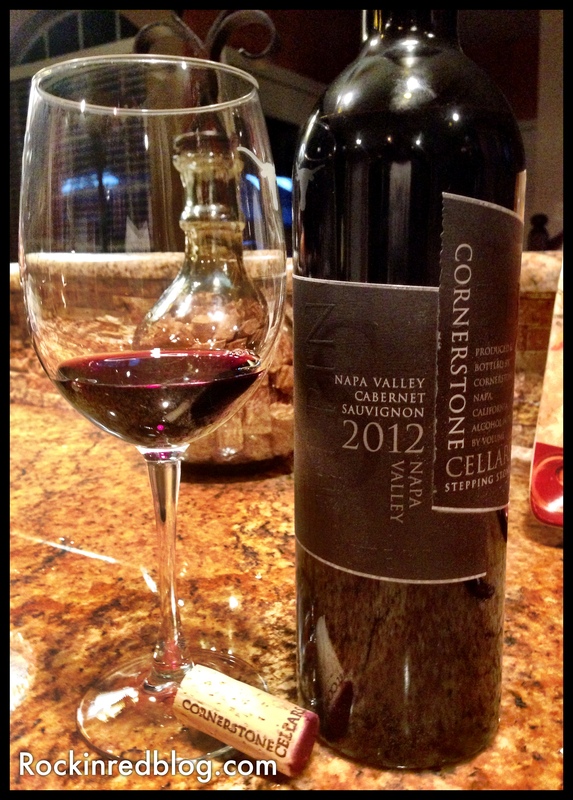 Cornerstone Cellars Stepping Stone Black Label Napa Valley Cabernet Sauvignon 2012: This wine poured a bright garnet into the glass and opened with aromas of red and black fruits with a touch of spice. On the palate the wine delivered bright flavors of concentrated cherries, black raspberries and currants, along with mild milk chocolate, white pepper and spices. However, in quintessential Cornerstone style as the wine continued to open over the course of the evening it brought forth additional flavors of blackberries and a lovely round licorice that lingered on the palate. Though this was not a complex Cabernet it was quite smooth with balanced acidity, mild tannins and medium body. It contained 14.7% alcohol. I found this Cabernet Sauvignon to be a lovely, easy drinking wine. It was pretty straight forward and I believe would be pleasing to many palates; especially those who find Cabs to be too bold or tannic. It was not as big as their white label Cabs but lovely and very palate pleasing in its own right. SRP $47. I recommend this wine. The Black Label Cabernet Sauvignon would pair beautifully with many different meals including hamburgers, spaghetti and beef stew. 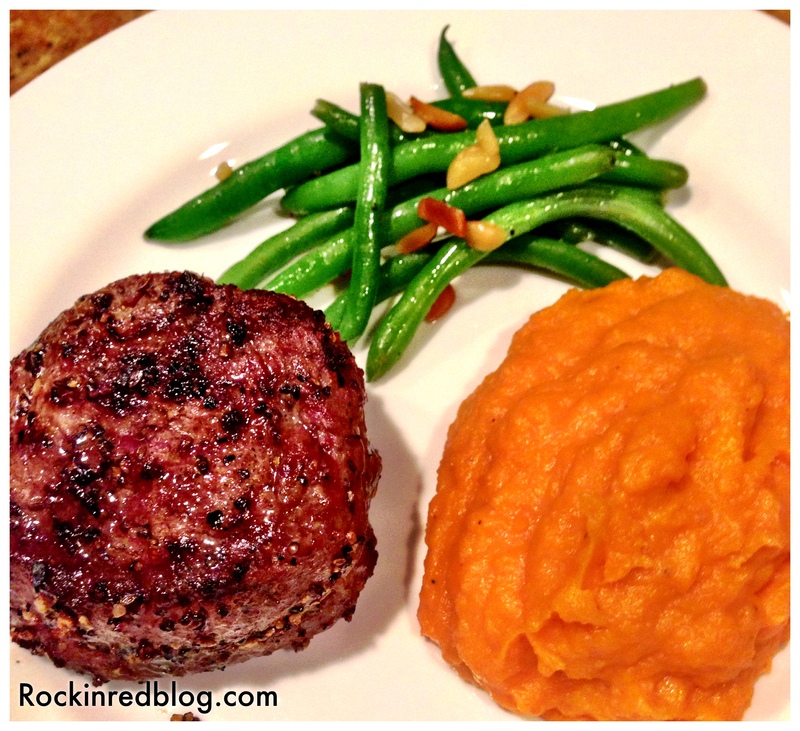 We chose to pair the Cabernet Sauvignon with filet coated in Pepper Pizzazz Seasoning, mashed sweet potatoes and green beans almondine. 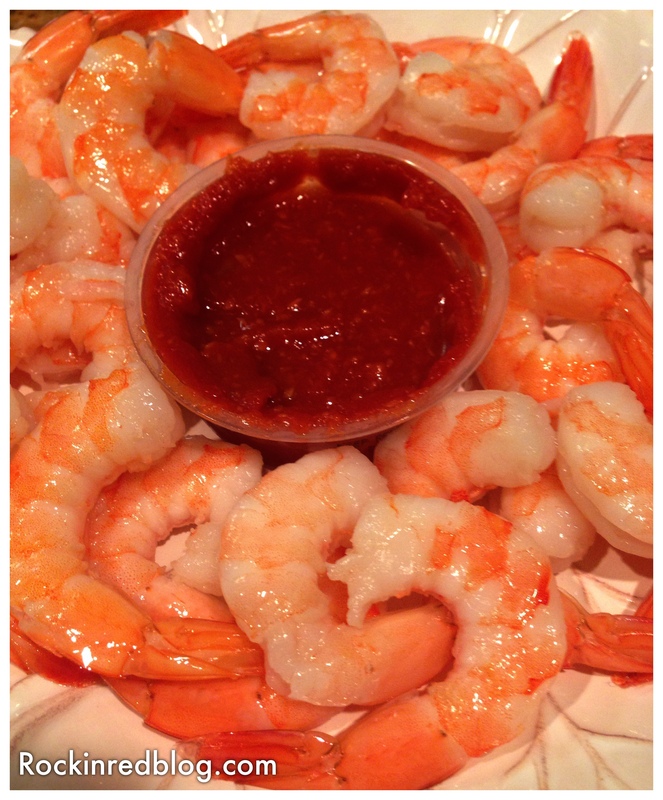 Additionally, we began our dinner with boiled shirmp and cocktail sauce that also paired very well with the Cab. The dinner was excellent and the succulent filets paired beautifully with the wine; even enhancing its pepper essence. Furthermore, the setting of a beautiful fire and good music on a Saturday night made the wine taste even better! You will recall from my articles “Feeling Alright Now with Cornerstone Cellars Chardonnay,” “Wine, Food and Love with #WinePW, and and “Cornerstone Adds Luxury to a Weeknight Meal,” that I am already a huge fan of the outstanding wines being crafted by Cornerstone Cellars. 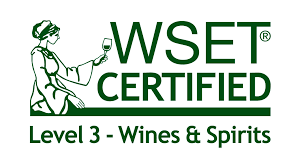 Craig Camp, Michael Dragutsky, Jeff Keene (CA wine maker), and Tony Rynders (OR wine maker) are firing on all cylinders by perennially releasing outstanding award winning wines from their least expensive, Rocks! Blends, through their entire portfolio to their most expensive, White Label The Cornerstone. You simply cannot go wrong drinking Cornerstone Cellars wines. I strongly encourage you to visit the Cornerstone Cellars web site to learn more about them, view their entire portfolio of wines and to order wine, including this Stepping Stone Black Label Cabernet Sauvingon. 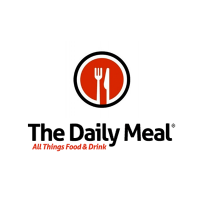 Furthermore, take a moment to look at their low cost, low commitment, high value wine club. 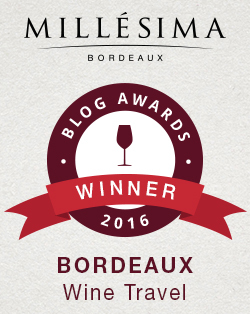 It could be one of the best wine club values I have ever seen! 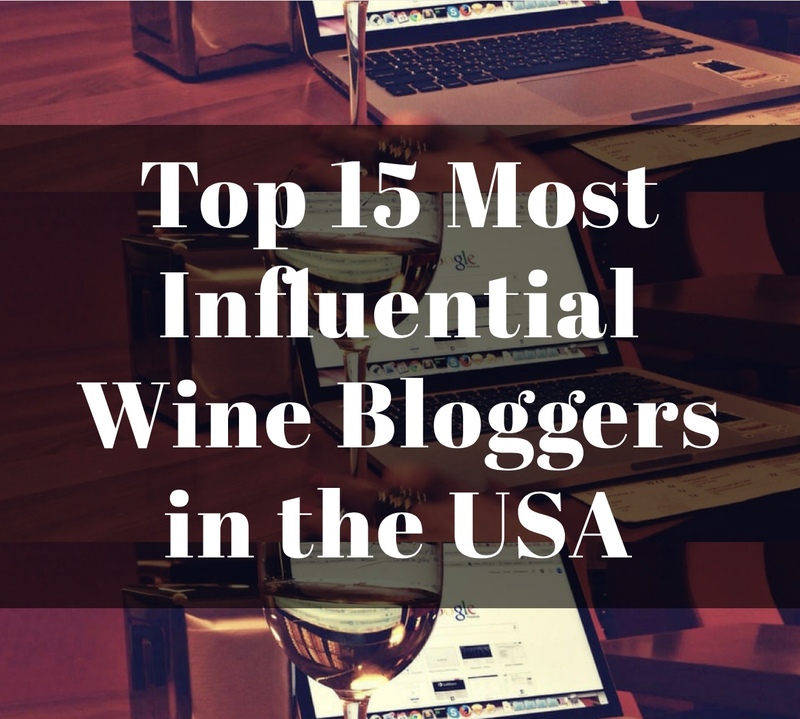 Furthermore, next time you are in Yountville you MUST stop by their lively and educational tasting room; there is always something fun going on there! My Song Selection: The song I have chosen to pair with Cornerstone Cellars Stepping Stone Black Label Napa Valley Cabernet Sauvignon 2012 is Hold My Hand by Hootie and the Blowfish. First of all, I love this song; even encrypting the video into this article I have the volume up and I am singing! It takes me back to my MTV days for sure! Second, Hootie pairs great with this wine because it is a smooth wine with great flavor that subtly reveals itself to be a sold Cabernet. It is a rock n’ roll wine, but it is not a loud rock song or a classic rock song; rather, it is a solid rock song that can be enjoyed by the masses, just like Hootie and the Blowfish. 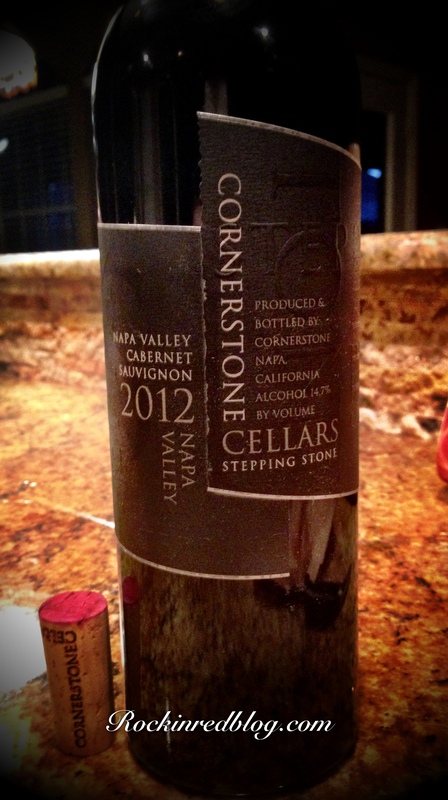 Get your own bottle of Cornerstone Cellars Stepping Stone Black Label Napa Valley Cabernet Sauvignon 2012 and let me know what song you would pair with it. Cheers! Next The Final Four: Which Grapes Remain? Loved reliving the evening! A perfect night. Sounds like a great evening, a great meal and really nice wine. A perfect combination. OMG, Hootie and the Blowfish, haven’t heard them in a long time. Great song selection. Thank you. I love Hootie! Cheers. I wanted Hootie to play at our wedding reception in 1996. Of course that was a pipe dream, but I had the DJ play a lot of their songs! Beautiful dinner, and I must check out Cornerstone Cellars. Since the wine is from Oregon, we are sure to have some here. Thanks! I love Hootie! Wouldn’t that have been fun to have them play at your wedding! 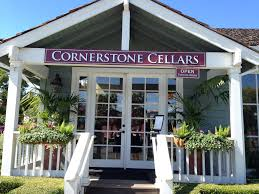 Cornerstone produces really high quality wines; a many whites for you!